For nearly a decade, Sword Art Online has amassed a loyal following of fans with its various anime, manga, and video game spin-offs. Sword Art Online: Fatal Bullet is the latest title in the long-running franchise to enter the video game realm. And while the other games focused primarily on traditional sword & sorcery role-playing – albeit with a unique game-within-a-game setting – this one does things a bit differently. 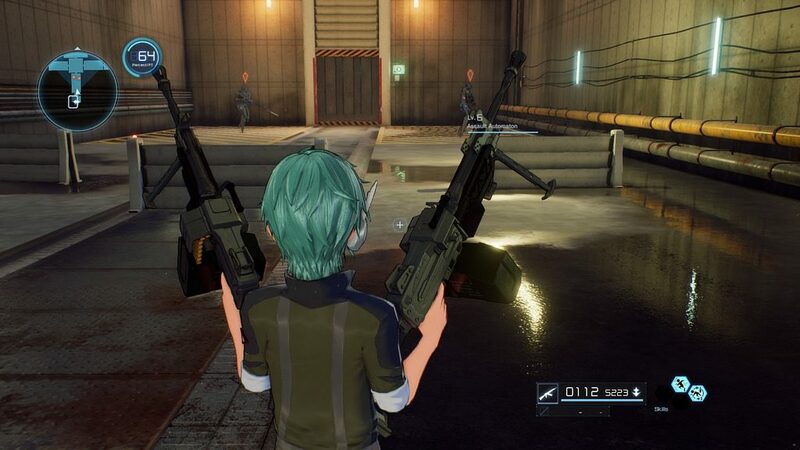 Trading in the blades and spells for shotguns and grenades, Sword Art Online: Fatal Bullet is a refreshing change of pace that breathes new life into the franchise. Your silent hero will cross paths with many familiar faces during their time in Gun Gale Online. 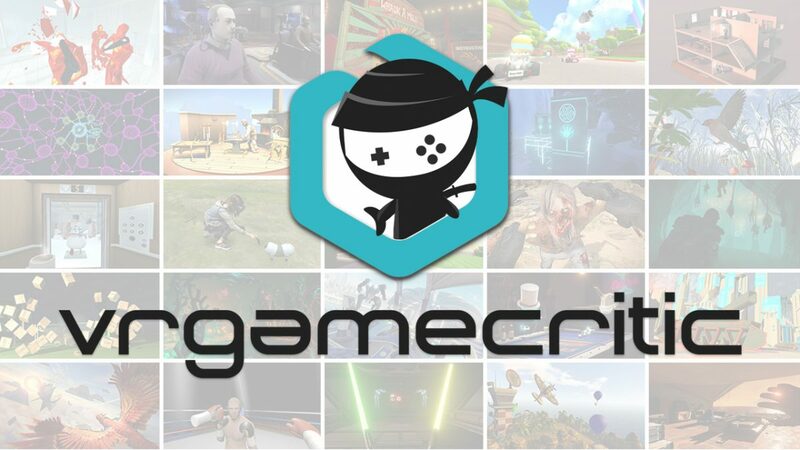 Developed by Dragon Ball Xenoverse developer DIMPS, the game is set within the Gun Gale Online (GGO) universe, a virtual reality shooter where highly-competitive players compete to clear dungeons, earn rare gear, and perform other MMORPG-style tasks. 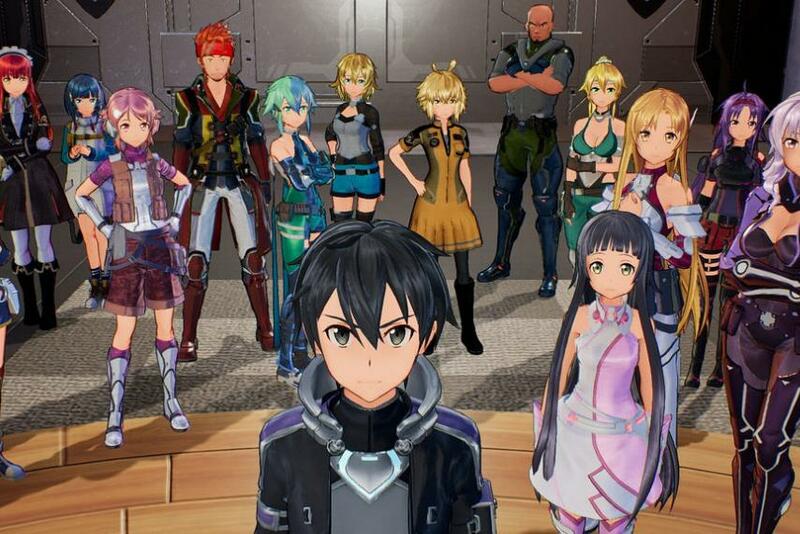 Rather than play as Kirito or any of the other previously established heroes from the Sword Art series, players instead create their own avatar with a surprisingly robust character creation tool. Here you’ll be able to adjust your silent protagonist’s height, stature, decals, hairstyle, and more. 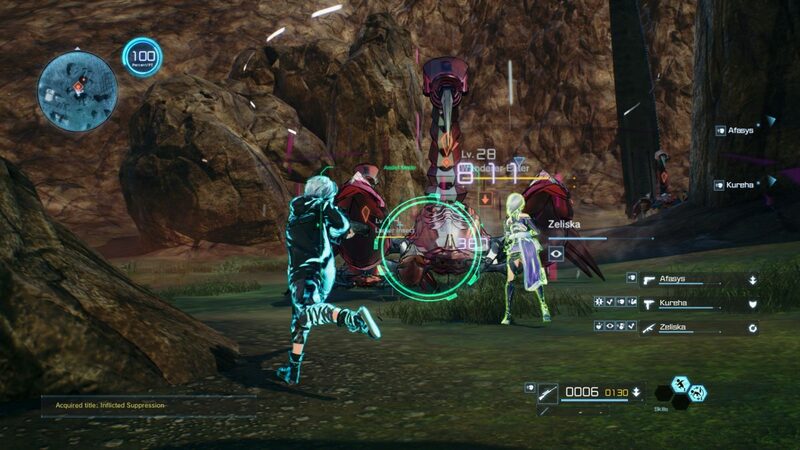 After that, SAO: Fatal Bullet throws players headlong into the first tutorial dungeon. Here you, accompanied by your childhood friend Kureha, will get a taste of the fundamentals of combat. 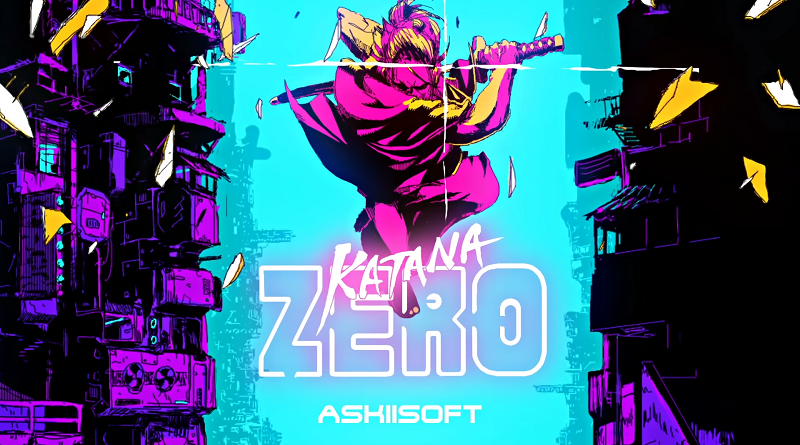 And after bagging a few dozen gun-toting automatons, you’ll cross paths with some familiar faces from the series, as well as ArFA-Sys, a rare AI companion who becomes your partner and financial adviser of sorts. Sound weird? It sure is, but just roll with it. Because in addition to handling your cash, ArFA-Sys – who prefers to be called Rei – is pretty darn good with a gun. So you’re going to depend on her often. In addition to being an invaluable asset on your adventure, Rei is also central to the game’s story as you and your party attempt to uncover her true purpose while keeping her out of the clutches of a cast of unsavory characters. SAO: Fatal Bullet’s combat fast, frenetic, and satisfying. I have to admit that I found this introduction a bit awkward at first. However, this wasn’t really due to any flaw in its design. Rather, I wasn’t playing the game the way it was meant to be played. This is because despite looking like a standard TPS, SAO: Fatal Bullet still plays very much like an action-RPG. Tactical approaches and careful aiming won’t take you very far. Instead, it’s all about the steady beat of grinding, gathering better gear, and managing the cool-downs that govern your more powerful abilities. When I finally came to grips with its mechanics, I really began to appreciate what Osaka-based studio DIMPS has done here. The new focus on firearms changes the established formula up just enough to keep things interesting. Yet despite the high-energy gunfights, the spirit of the franchise remains very much intact. That said, if you’re a fan of the series who enjoyed what SAO: Hollow Realization or last year’s Accel World VS Sword Art Online brought to the table, you’ll probably still find something to love here even if you find the shooter theme a bit of a turn off. Feel like going guns akimbo in a three-piece suit? Have at it! This virtual world is your oyster. 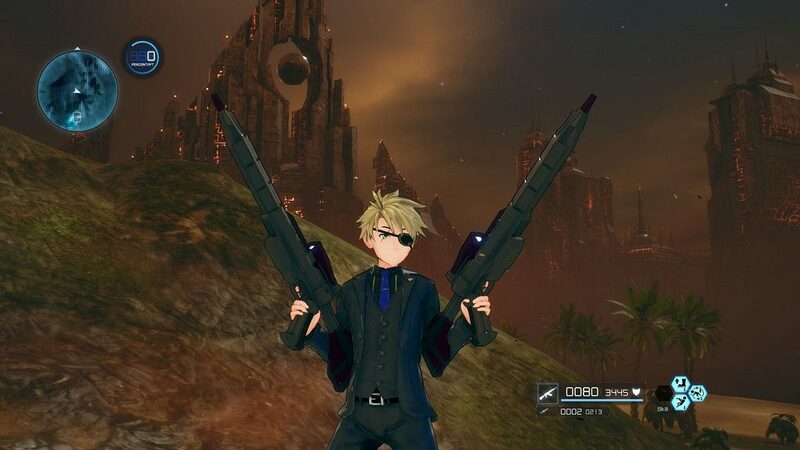 One of the things I most enjoyed about SAO: Fatal Bullet is its wealth of customization options. There are a plethora of weapon types at your disposal, each with their own pros and cons. You’ll collect shotguns, sniper rifles, assault rifles, miniguns and more. These weapons can be combined and customized with memory chips for added effects. Much like Gearbox’s Borderlands series, I found the constant weapon drops consistently exciting, as every encounter potentially can yield a tantalizing new toy to play with. After all, who doesn’t love mowing down mobs with an SMG loaded with incendiary rounds, or dropping a baddie from a mile away with poison-tipped sniper shots? Of course, SAO: Fatal Bullet is an RPG first and foremost. And as such, there are plenty of skills to unlock and stats to boost as you gain experience. When you gain a level you can allocate points for strength, vitality, dexterity, intelligence, and luck accordingly. Additionally, you’ll unlock skill points which can be spent on new abilities to help you in battle. These range from heightened perception that helps you spot traps, to the ability to blast your allies with healing bullets and more. With many different skills to master and so many guns at your disposal, SAO: Fatal Bullet is a game that encourages experimentation. And personally, I feel it’s one of the game’s most enjoyable aspects. Unfortunately, the dungeons all share the same industrial look and fail to impress. The world of GGO is occasionally striking when exploring the great outdoors. However, it’s a shame the same can’t be said for the dungeons you’ll be delving into. They all tend to blend together, which can make dungeon-crawling a bit of a slog. Interiors lack any real sense of visual identity to help them stand out from each other, which makes them seem more like generic shooting galleries than anything else. At least the boss encounters are frequently challenging, which makes the grind worthwhile in the end. Dungeons also feature quick-travel checkpoints. This is especially nice considering the fact that when you die you’re sent back to the main hub area. So Kudos to DIMPS for keeping the backtracking to a minimum. Speaking of fast travel – while it’s certainly handy, it does underscore another problem. The load times in SAO: Fatal Bullet can be brutally long. There were occasions when playing our review build on an Xbox One X that I felt I could have probably walked to a destination in town faster than simply fast-traveling there, which is pretty unfortunate to say the least. It’s also worth noting that the frame rate can take a considerable hit when the action gets heated. Thankfully, it’s never so bad that it makes the game unplayable, but it can be a bit disorienting – and often crops at the worst times. 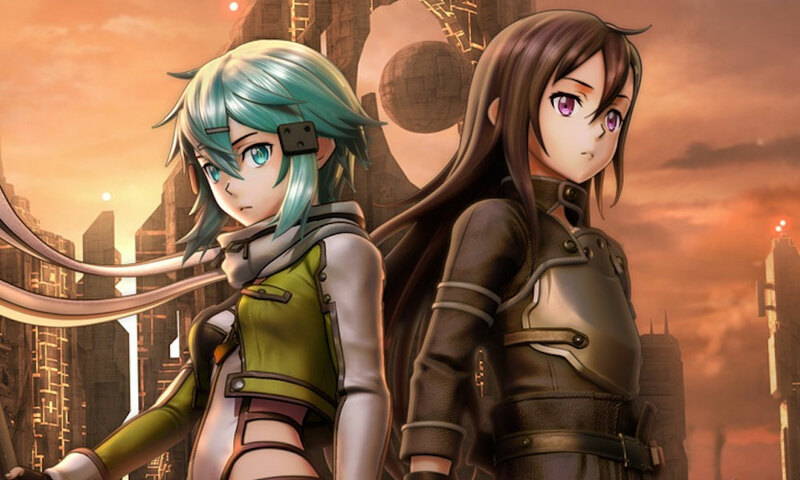 Despite its rough edges, Sword Art Online: Fatal Bullet can be a real blast. The world of GGO is fun to explore, and the thrill of finding epic new gear never fades over the course of its 30-hour story. And speaking of story, while Fatal Bullet’s isn’t the most gripping narrative you’ll experience this year, it’s still an entertaining romp while it lasts despite its reliance on genre tropes. With exciting, fast-paced combat and tons of customization options, Fatal Bullet serves as a fresh and exciting change of pace for the Sword Art franchise, and one I hope we get to experience again down the road. Full disclosure: This review is based on a retail copy given to Hey Poor Player by the publisher.